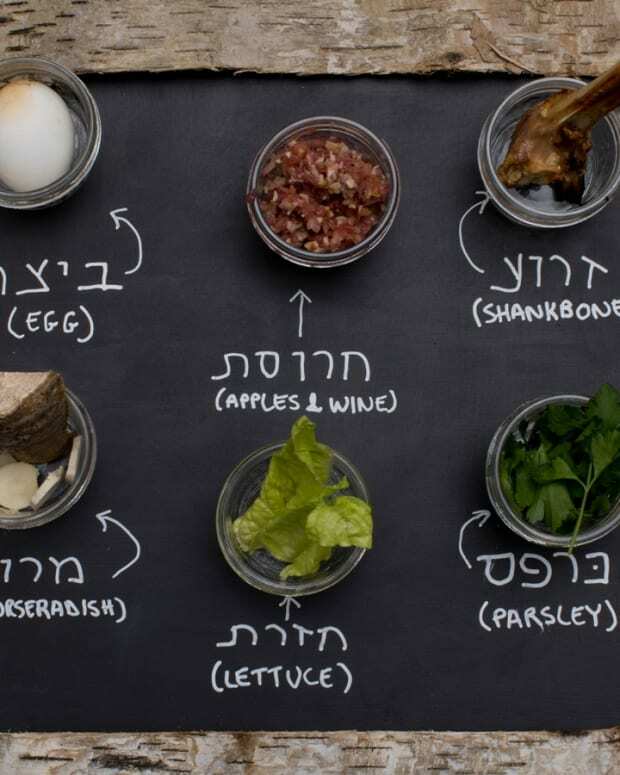 Nothing against the humble potato, it is a magical ingredient with many possiblities (like Jamie&apos;s best ever potato kugel), but there are soooo many incredible vegetables that offer amazing value in price, taste, presenation value and nutrition. 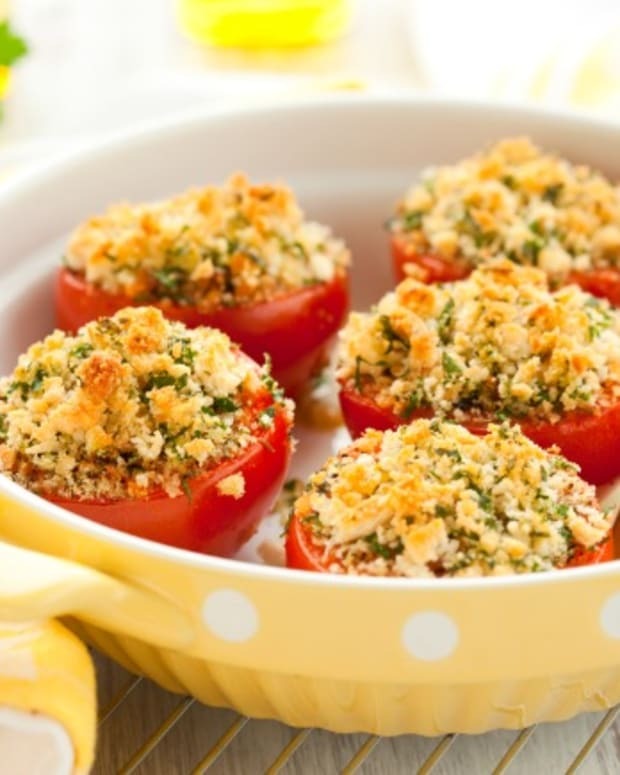 The following are some of our favorite, non-potato, vegetable side dish options that can be added to make any menu pop. What is your favorite non-potato vegetable to cook? 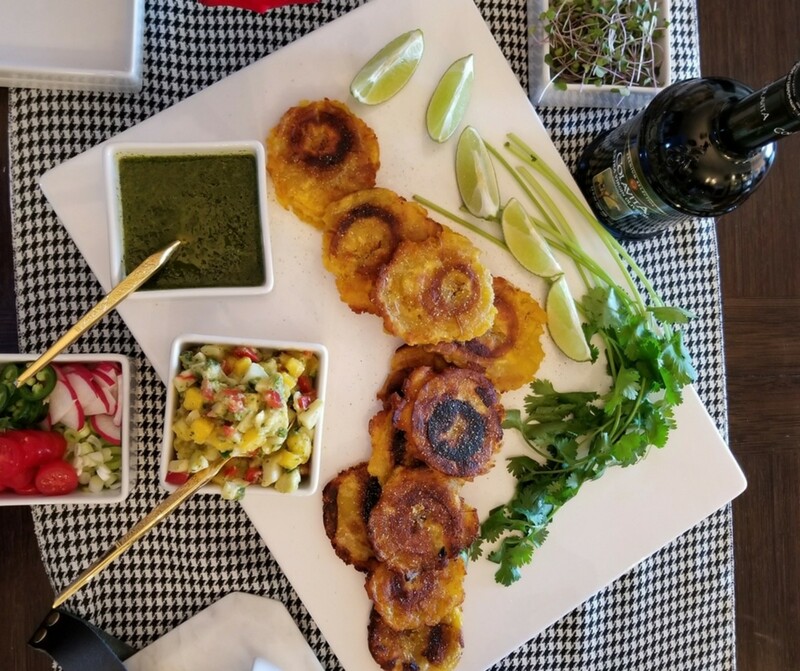 We are all about parnsips, plantains, celery root, mushrooms, zucchini & spaghetti squash. This recipe celebrates the earthy sweetness of parsnips. 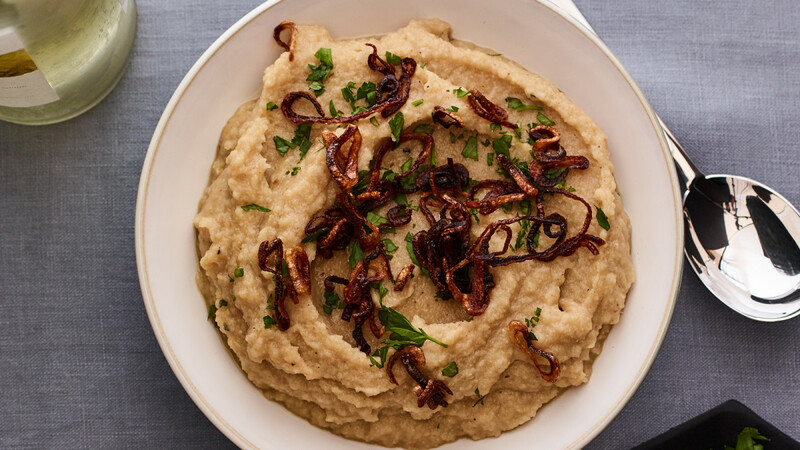 If you are not in the mood of taking out your blender, skip the puree step and serve the parsnips and shallots roasted. There is nothing like hearty roasted vegetables, topped with fresh herbs for added oomph. 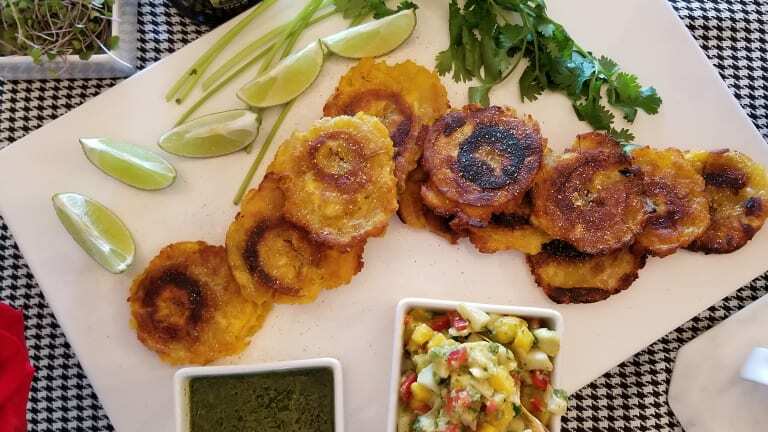 In Jewish lingo tostones can best be described as plantain latkes. They taste similar to a potato and go well with all flavors. 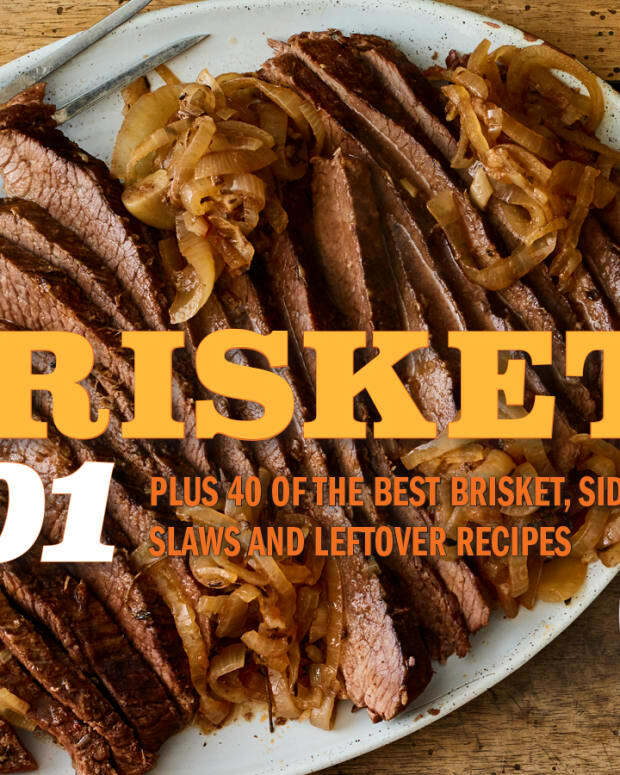 Top with salsa, pulled brisket or sliced fish or simply serve with flavored aioli. 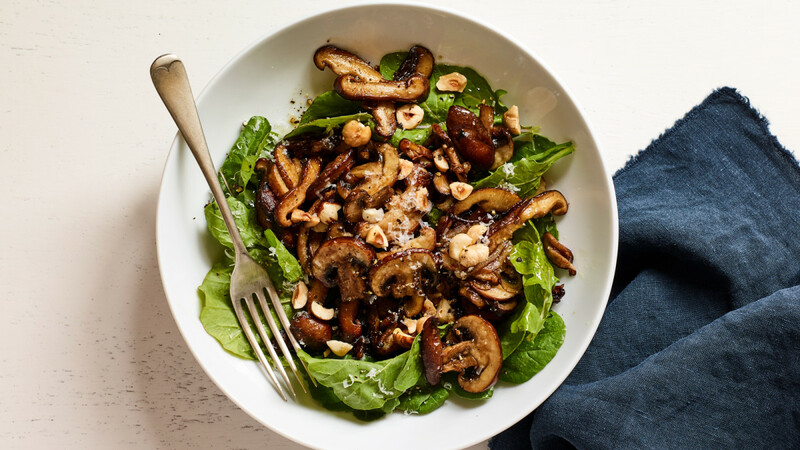 Uber-simple but so flavorful, these balsamic flavored warm mix of mushrooms work great with hearty greens in a salad format and make a great side dish for hearty steaks, roasts or chicken dishes. Celery root has amazing flavor and is typically used to amp up vegetable & chicken broths. 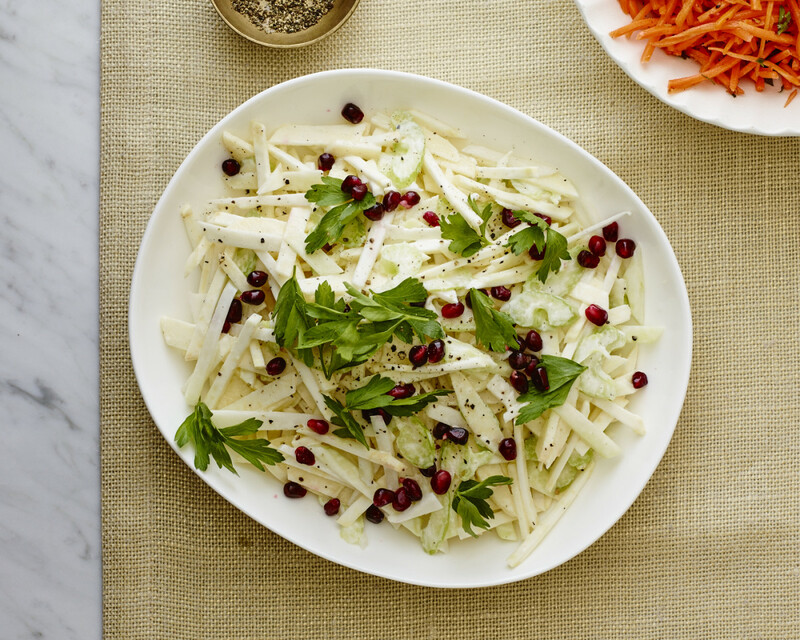 Celery root works suprisingly well in salads by adding a unique flavor and crunch factor. Spaghetti squash is a magical vegetable that yields noodle-like strands of amzingness. 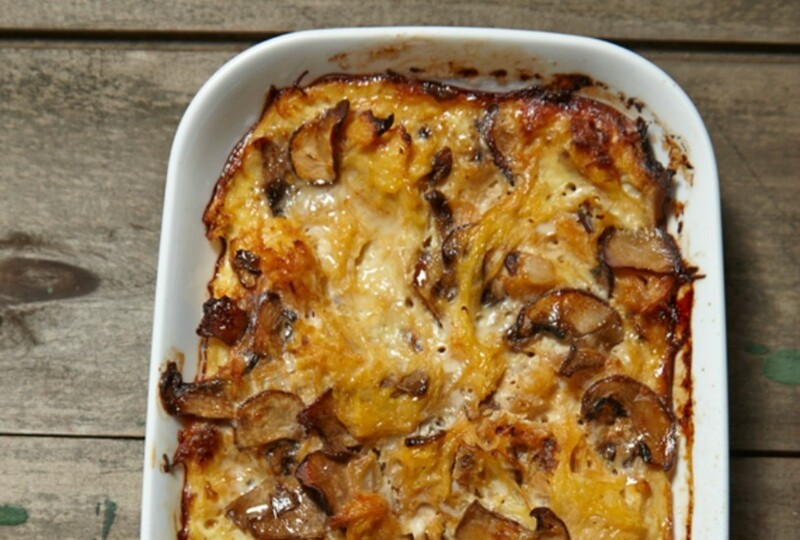 Paired with caramelized onions & mushrooms, this recipe will make you rethink kugel as you know it. 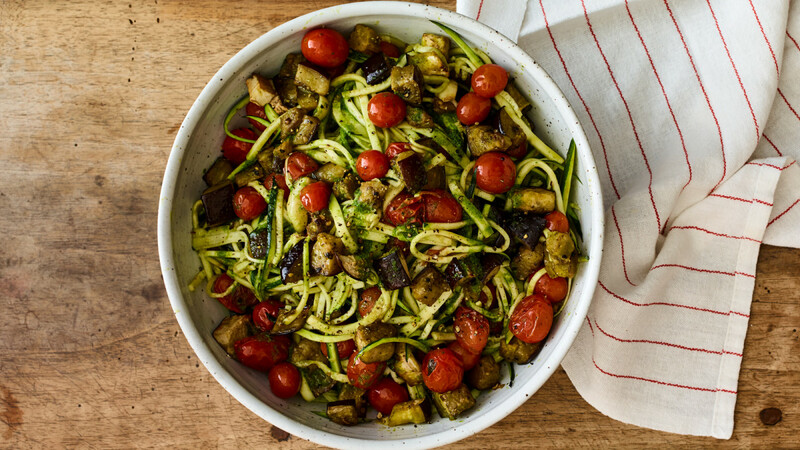 A modern way to serve ratatouille and highlight zucchini noodles. 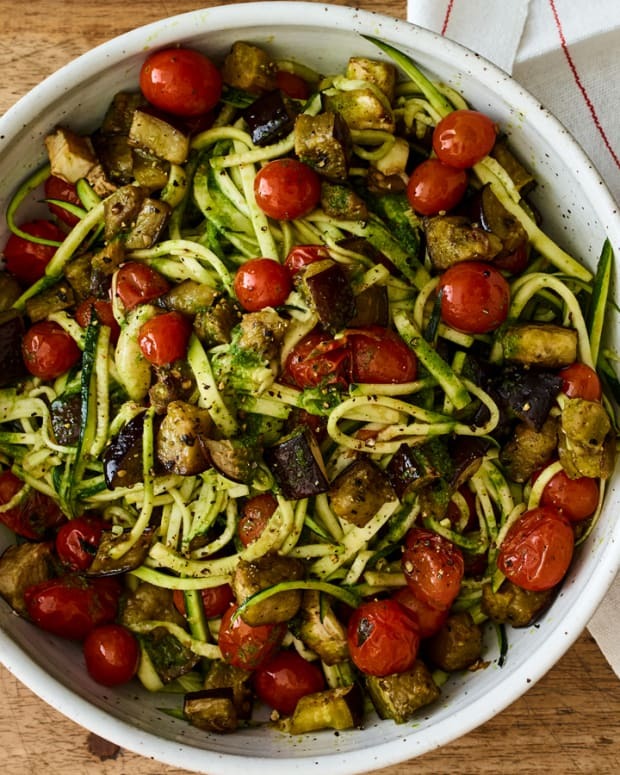 You can make zucchini noodles using a sprializer or julienne peeler. 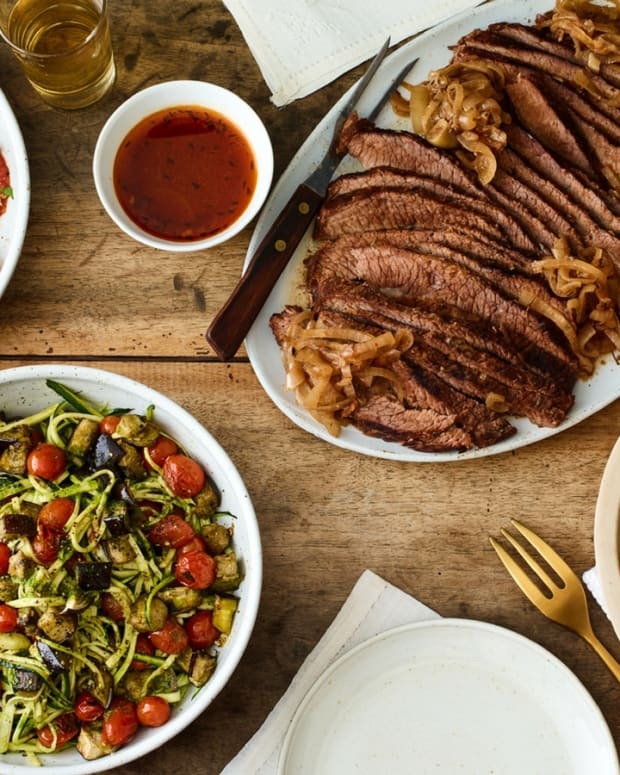 You can also just chop up zucchini and roast alongside the eggplant for a roasted ratatouille dish.